Preparing pupils for the demands of a fast-changing world requires creative thinking. Tomorrow’s jobs will demand creative problem-solving skills. But nearly three quarters of teachers agree there’s not enough problem solving in the classroom. Now schools can tackle this creativity gap by taking advantage of special pricing for education by leading software creator, Adobe. 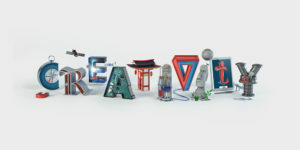 UK Primary and secondary schools can get Adobe Creative Cloud for just £5 per pupil a year Adobe Creative Cloud for just £5 per pupil a year with a minimum of 500 licenses – giving students access to a portfolio of industry-standard software that includes Adobe Photoshop CC, Adobe InDesign CC and Adobe Illustrator CC. Creative Cloud apps can be seamlessly integrated to teach essential problem-solving skills into any subject, right across the curriculum, with all the training and resources teachers need to support students. Another advantage for both teachers and pupils alike is the free inclusion of Adobe Spark for Education with premium features. Adobe Spark allows users to narrate videos, design posters and graphics and write assignments quickly, easily – and beautifully. And make work ready for sharing with classmates for collaboration, or with teachers for marking. One school that’s already benefitting is Langley Park School for Girls in Beckenham, Kent. To see just how students there have begun an enthusiastic digital journey, watch the video using the link here. Like other schools using these creative apps, Langley Park pupils are developing invaluable skills like storytelling and visual communications whilst developing other talents that aren’t always covered by the general curriculum – like creative problem solving. With Adobe Creative Cloud available from just £5 per student, per year, that’s a small price to pay for a brighter, creative future. Previous Losing Valuable Teaching Time?